It has caught us totally by surprise. LG has just announced in Korea its new LG V40 ThinQ. Yes, the same one that we have been seeing leaks in recent weeks. This is another of the high-end that adds to the presentations of October, being very important in the current battle. Although the LG G7 ThinQ has not had a remarkable success, things change with this new model. LG wants to regain the strength of the company in the mobile division and will try with the new beast that has just presented. It has not done it in Spain or in Europe, so we will have to wait to know the prices and the availability date in our market. At the moment we can know all the details of the design, specifications, and features of LG V40. LG is still using its new brand ThinQ, although from now on we will call the LG V40 device. It is the succession of the LG V30 and the second high range that the company launches this year. It is more ambitious and has very novel details. Of course, still betting on the notch or notch at the top of the screen. Still, it’s something we’ve seen in almost every release of the year. We are facing a glass and metal device that renews its catalog of colors. We do not know the models that will arrive in Spain, but in Korea, the following have been presented: red, blue, silver and black. The design is quite elegant and the three rear cameras are very well placed. Your fingerprint sensor is not under the screen, it can be seen in the back. Its frames are made of metal and house several buttons on both sides. In the front, we have a fairly well-used screen with a notch that houses the 2 front cameras, the receiver for calls and the necessary sensors. It is not the most spectacular design, but it seems quite effective within the high range. Undoubtedly one of the most interesting features of LG V40 is in the Photographic Section. It is the second device on the market to have 3 rear cameras and possibly the first to accommodate 5 Cameras throughout the body. In the case of the rear camera, we have a wide-angle sensor, a conventional sensor, and a telephoto. This is the first smartphone to group the two most interesting technologies of the double camera, needing 3 sensors by force. LG has put all the emphasis of the presentation in this section, talking about the dozens of shooting modes that are available. We like that the main sensor has an aperture f / 1.5, something that had not been seen so far. This will allow you to take amazing pictures with low light. The wide-angle opens up to 107 degrees, something we are already used to in LG and the telephoto is able to zoom without losing X2. It is a very complete camera that we will have to thoroughly test and buy with the rest of the devices in the range. On paper could compete with the Pixel and Huawei Mate 20, but we will have to wait to know. LG has not talked much about the rest of the specifications and features of LG V40. Your screen continues to have an incredible resolution, although the bad news is still the battery. This LG V40 opts for a cell of 3,300 mAh, a very low figure to support such resolution throughout the day. For everything else, we have a great terminal. It is powerful, its storage is the fastest on the market and 6 GB of RAM is more than enough for all users. We will have to see if this LG device is the preferred option of some niche, something complicated knowing what is to come. The terminal has been presented in South Korea and therefore no mention has been made of the European or international market. We are waiting for LG Spain to tell us their plans to bring the device to our country. 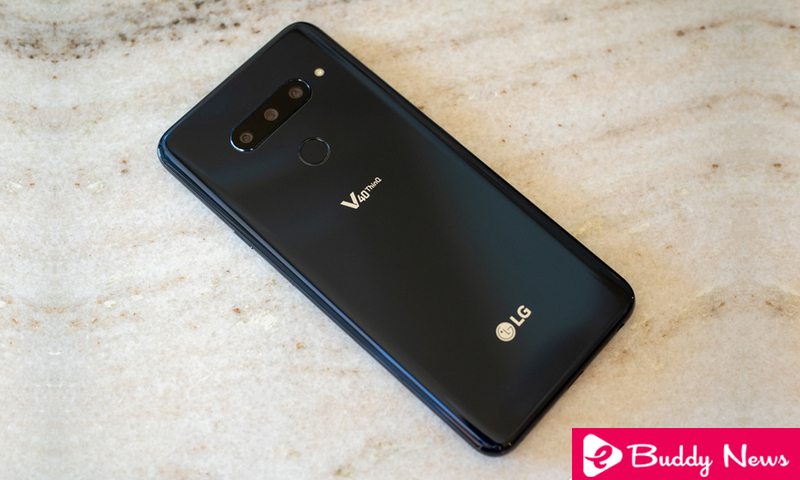 Mind you, do not expect to spend little if you want this new LG V40. If it is a figure that is worth paying, we will tell you when we can take the glove to the terminal and analyze it in full. At the moment your camera and screen seem the most remarkable points, in addition to its performance.